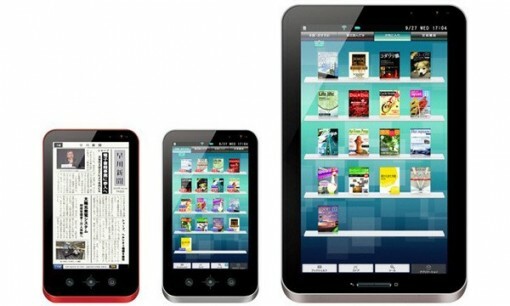 Japanese Electronics Company Sharp entered the world of the tablet market about a year ago. They launched two Android devices named Galapagos, with sizes of 5.5 and 10.8inches that went for sale in Japan from last December. They even launched another model of 7inches last month in Japan and also announced to launch the same in the US this year. But may be because of their bad sale result Sharp has now announced for terminating the ordering facility of their earlier 5.5inch and 10.8 inch versions of Galapagos from September 30. Though the company mentioned that they will continue with their 7inch version in Japan (where it costs around $587). Apple’s iPad along with other parts of the world has also captured most of the markets in Japan. A Tokyo based market research firm BCN estimates that Apple is in command of 63percent of the Japanese market for tablets this July and this might be a reason for slashing down the sales of other tablets.